Essex MP Tracey Ramsey is slamming Justin Trudeau's trade strategy as the Liberals try to have U.S. steel and aluminium tariffs removed on those Canadian materials. Essex NDP MP Tracey Ramsey takes aim at Prime Minister Justin Trudeau's refusal to be present for a United States-Mexico-Canada Agreement photo op, but still sign the trade deal while U.S. steel tariffs remain in effect. 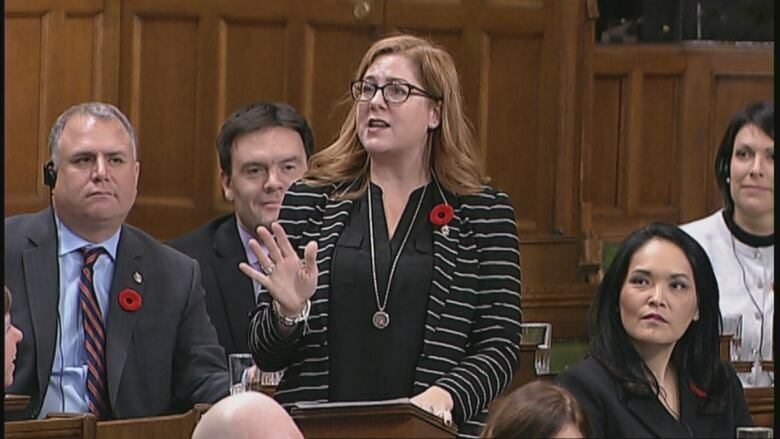 Essex NDP MP Tracey Ramsey is slamming Justin Trudeau's trade strategy as the Liberals try to have U.S. steel and aluminum tariffs removed on those Canadian materials. "Is the prime minister so vain that he thinks depriving the U.S. of his presence from a photo op is the best trade strategy to get rid of the tariffs?" Ramsey asked in the House of Commons on Thursday. The United States-Mexico-Canada Agreement (USMCA) will still be signed by the three countries. However, Canada's ambassador in Washington says the prime minister Trudeau will not be taking part in any sort of signing ceremony alongside U.S. President Donald Trump — unless American tariffs on steel and aluminum are lifted first. "[Trudeau] just doesn't want his picture [signing] it, and who could blame him? I wouldn't want my picture taken signing it either," said Ramsey. "These tariffs are killing jobs." Trudeau responded by saying people in the Windsor region are "overwhelmingly" happy with how the USMCA secures access to the United States for years to come. "As I told the steel and aluminum workers on the floor of their plants, this government has their back," said Trudeau. He adds Canadian counter-measures will remain in effect until the "unfair" U.S. tariffs on steel and aluminum are removed.